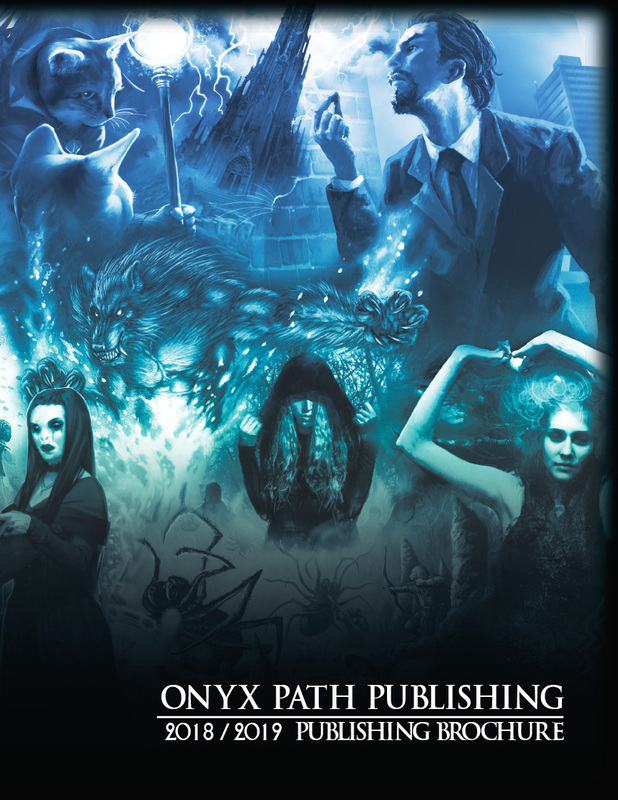 Now available in PDF from DriveThruRPG: the Onyx Path 2018-2019 Publishing Brochure! 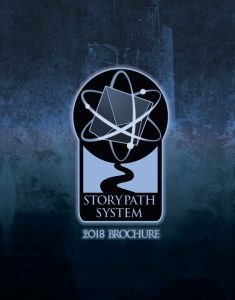 The evolution of the Storypath system is tied to our work on the Trinity Continuum, a world of hope, heroism, and peril, and Scion, a world where the children of the old gods walk the earth. 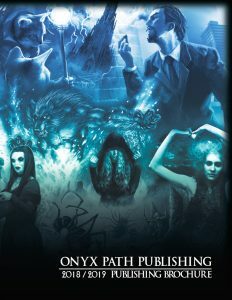 To move forward, however, we needed to take a step back, because the first editions of the Trinity Continuum and Scion used custom variants of the Storyteller System which powered Vampire: The Masquerade and other classic White Wolf games. Despite the differences between those variants, however, at its core the Storyteller System was designed chiefly as a horror game for creatures that could be effectively fought by human opponents. In other words, the Storyteller System is great for vampires, but it didn’t excel at portraying superheroes…or gods! To us, this meant that the stories of these action-adventure games were hindered by their original systems. Within these pages, you’ll find a preview of the rules and examples for both Scion and the Trinity Continuum. We hope you enjoy the new Storypath System and are inspired to roll the dice and tell great stories! How great is that new logo? Outside of Scion and the Trinity Continuum, Storypath is also the system behind the upcoming They Came From Beneath The Sea!, Dystopia Rising: Evolution, and more.